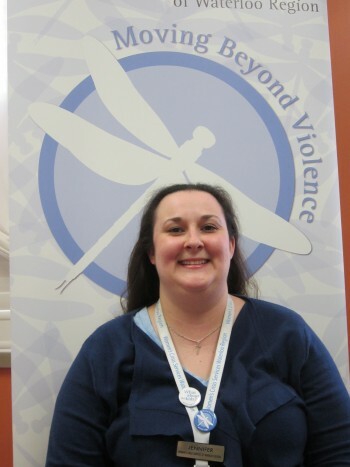 Jennifer Schmidt first started with Women’s Crisis Services on September 4th 2000 as a Residential Relief Worker. This is a part time casual role. A role that due to its nature people tend to come and go from, however Jennifer has remained dedicated to this role and to Women’s Crisis Services for the past fifteen years. I have had the opportunity to work with Jennifer over the last 2.5 years and have directly supervised her for about the past six months. Jennifer is a ˜go getter’ and is extremely hard working. When she is on shift you know that the residents are in capable hands. You can count on her to do a lot of the extras around the shelter such as tidying up and organizing. Jennifer’s co-workers very much enjoy working with her. They also spoke about how she goes the ˜extra mile’. For example each year Jen takes a lot of shifts around the Christmas holidays. She does a great job making that time of year extra special for the women and children. She organizes the gift room, wraps presents and ensures everything is ready to go so that Christmas morning is memorable. The women and children often comment on how much they enjoy when Jen works and describe her as sensitive and non-judgemental. Outside of her work at WCSWR, Jennifer enjoys spending time with her family and close friends. A quotation that I found that reminded me if Jennifer is if you have a big heart you will have a large life and Jennifer really has both of these. I would like to congratulate and thank Jennifer for her 15 years of loyal and dedicated service with Women’s Crisis Services!